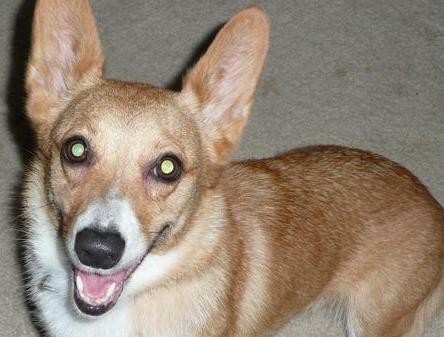 The three corgis make up our herd of herders. Aurora rules the roost and can typically be found sniffing a cat or getting kisses from Eros. 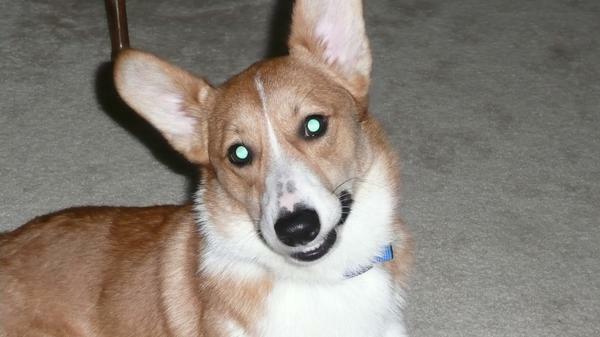 Eros is a gorgeous addition to our corgi herd and is as loving as dogs come. Kuma is the tri-color daughter of Aurora and Eros. We opted to keep her tail as opposed to getting it docked and she appears to have more of her father's loving demeanor than her mother's independent one. 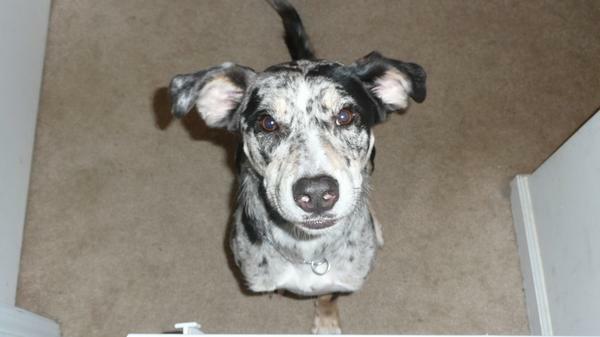 Our one and only Catahoula Leopard Dog, Rukia Kuchiki, known defender of all things belonging to April and chewer of the largest bones imaginable. Copyright 2009 Nightstorm Stables. All rights reserved.